A new center for climate change research has emerged in the UK. With support from government, academia and businesses large and small, the UK’s National Physical Laboratory yesterday officially launched the Centre for Carbon Measurement (CCM), a multidisciplinary climate change research institution with a focus on climate modeling, global carbon markets and green technology. CCM “will provide reliable climate data on which to base policies; support international regulations and voluntary schemes for carbon trading and monitoring; and help to develop and measure the performance of low-carbon technologies,” a press release explains. “The science of measurement is essential in underpinning the transition to a low carbon economy. As the UK is a world leader in both measurement science and the centre of the global carbon market it is only right that we develop the right infrastructure to support this transition,” commented David Willetts, UK Minister for Universities and Science. Climate Data: CCM will improve the accuracy and consistency of climate data through improved ground-based and satellite measurement technology and better data analysis. This will feed into climate models to give a better understanding of the long-term impact of climate change and enable governments to develop more focused policies for mitigation and adaptation. Carbon Markets: the Centre will develop the underpinning measurement science and technology to support carbon markets and accounting. This will enable comparisons across projects, companies and borders, ensure a fair and stable carbon market and support businesses in reporting, managing and offsetting emissions. London is currently the centre of the carbon market with over 80% of carbon traded there in 2009. Developing fit-for-purpose measurement capabilities will be important to the long-term success of emissions trading and offsetting schemes and assuring the UK’s place as the global centre of carbon markets. Green Technology: the Centre will provide access to the best measurement techniques for developers of low carbon technologies, allowing scientific validation of their performance and thereby giving confidence to investors and buyers. Such support is key to commercializing advances in areas such as energy efficient technology, fuel cells, photovoltaics and offshore renewables, according to CCM’s press release. CCM’s got a head-start toward achieving its goals, having identified and placed research projects to do with each of these three topical areas in its development pipeline. These include: reducing uncertainties in climate data; providing technical input to guidance for companies reporting climate impact; detecting and quantifying leaks from Carbon Capture and Storage (CCS) demonstration projects; and providing a scientifically robust framework for estimating carbon savings from smart grids and large-scale building energy efficiency projects. NPL is already active in the climate and carbon-free science, policy and economic development. It’s involved in more than 6 million pounds ($9.58 million) of low carbon projects a year which have yielded a 1:20 return to the UK economy. CCM intends to triple this volume over three years. 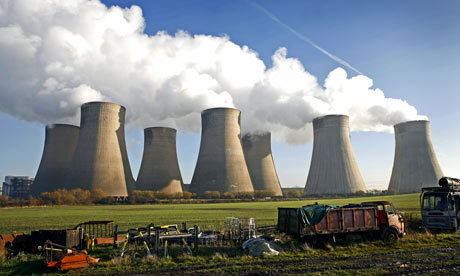 It also intends to ‘up-skill’ the UK workforce in carbon measurement and attracting business to the UK. The Centre will report on the environmental and economic impacts of its activities later this year.